Do you have or know of a student who enjoys the performing arts, engineering, construction, research, science and design? Then try D.I.! An informational meeting to learn more about the Destination Imagination program will be held Thursday, Oct. 18 at 7 p.m. at Little Miami High School. Destination Imagination (DI) is a non-profit, volunteer-led, cause-driven organization. The purpose is to inspire and equip students to become the next generation of innovators and leaders. Annually, they offer seven new standards-based Challenges in STEM, Improv, Visual Arts, Service Learning, and Early Learning. Each Challenge is open-ended and enables student teams to learn and experience the creative process from imagination to innovation. Little Miami DI is open to students K-12 who live within the Little Miami district. Adult team mangers guide a group of students to help them form a team, and those teams rehearse and create throughout the season, culminating in regional and state tournaments in the spring. 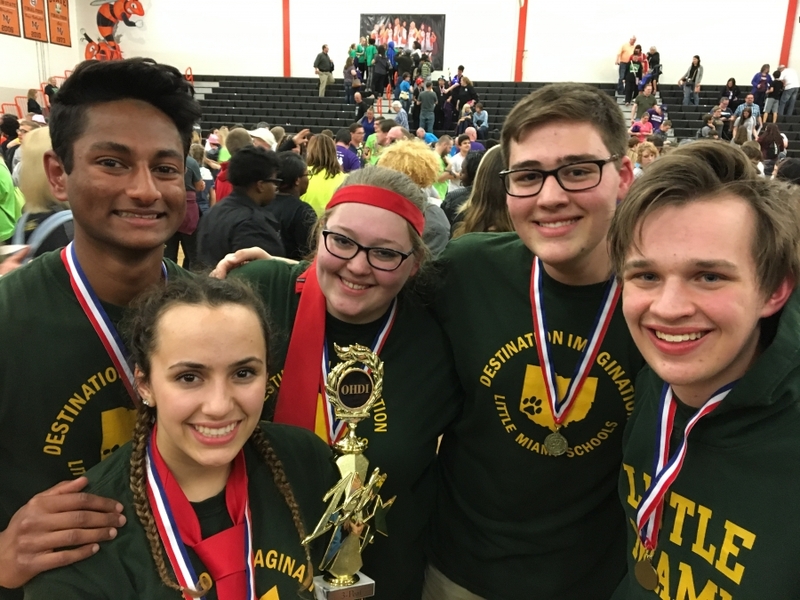 Little Miami has a long history of success with Destination Imagination, sending teams to the global finals the past several years.